How do you make career development work for both the employee and the business? IBM® has done it by tightly linking employee-driven career development programs with corporate goals. 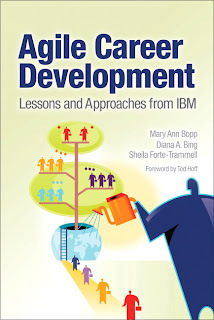 In Agile Career Development, three of IBM’s leading HR innovators show how IBM has accomplished this by illustrating various lessons and approaches that can be applied to other organizations as well. This book is for every HR professional, learning or training manager, executive, strategist, and any other business leader who wants to create a high performing organization.